Current development of Artificial Intelligence shows systems with greater degree of autonomy and decision making capabilities. Also, their integration in all dimensions of our daily living raises ethical issues on their application and behavior. This talk will review how ethics has been considered in the design of intelligent systems, and will address questions such as: Can we control that these systems follow an ethical behavior? Can we program ethical values in intelligent systems? What would be the ethics of robots? Short Bio: Juan Pavón holds a PhD degree in Computer Science from Universidad Politécnica Madrid (1988). From 1987 to 1997 he was working in R&D departments of Alcatel in Spain, France and Belgium, and in Bellcore (USA), especially in the development of component-based architectures for distributed systems, and their application to multimedia services on broadband networks and mobile systems. 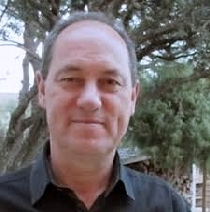 Currently he is Full Professor at Universidad Complutense Madrid, where he leads the GRASIA research group. His main areas of interest focus on the application of multi-agent systems technology in distributed control, service personalization, knowledge management, ambient assisted living, Systems of Systems engineering, complex systems simulation, and tools to support Responsable Research and Innovation (RRI). In this talk, I will give an overview of some of the most recent projects developed in the Natural Resources Analytics group at IBM Research Brazil. The group’s mission is to conduct research projects in data-driven analytics for decision making in the areas of oil&gas and mining, with a focus in developing new machine learning workflows to aid geoscientists in the discovery of natural resources. The topics I will cover in more detail include: seismic image segmentation using convolutional neural networks, prediction of well production from well logs and gold mineralization prediction using drill hole data. 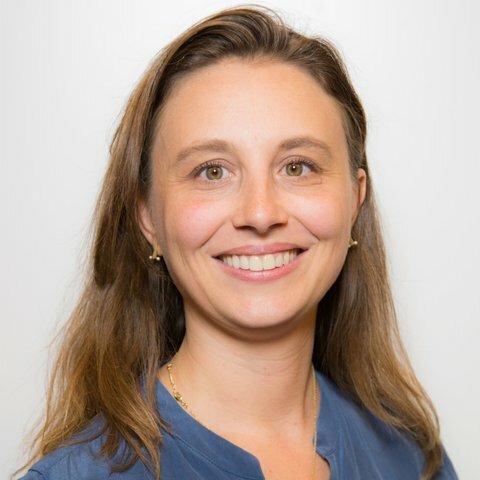 Short Bio: Bianca Zadrozny is a research manager at IBM Research Brazil, leading the Natural Resources Analytics group. The group’s mission is to conduct research projects in data-driven analytics for decision making in the areas of oil&gas and mining, with a great focus in developing new machine learning workflows to aid geoscientists in the discovery of natural resources. Bianca got her PhD in Computer Science from University of California, San Diego in 2003. After that, she has worked as a researcher at IBM T.J. Watson Research Center, New York and as a professor at Federal Fluminense University, Brasil. In 2011, she joined IBM Research Brazil. Bianca is an active researcher in the machine learning and data mining communities, having published more than 30 papers. She has served in the editorial board of the Journal of Machine Learning Research (JMLR) and the Data Mining and Knowledge Discovery (DMKD) journal and also in the program committees of conferences such as ICML, KDD, ECML, SDM e SBBD. Dpto. de Ciencias Matemáticas y Programa Doctoral en Ciencias e Ingeniería de la Información y de la Computación. Short Bio: El Dr. Edgar Acuña es catedrático Principal del Departamento de Coencias Matemáticas de la Universidad de Puerto Rico en Mayaguez. Su área de investigación es en Aprendizaje Estadístico y Computacional para el Descubrimiento de Conocimiento en bases de datos. En particular, él está interesado en pre-procesamiento de datos y en ingeniería de datos. Actualmente, él está trabajando en minería de datos masivos (Big Data) y en aplicaciones de análisis de datos funcionales a datos provenientes de distintas áreas científicas y comerciales. El ha supervisado a 25 estudiantes de maestría en Estadística y Computación Científica y a 5 estudiantes doctorales en Ciencias e Ingeniería de la Información y Computación. En el 2009, Dr. Acuña fue seleccionado como Fulbright Scholar para visitar universidades peruanas. El ha ofrecido conferencia en 23 países alrededor del mundo. El Dr. Acuña ha sido el investigador principal de 4 proyectos patrocinados por la Oficina de Investigación Naval, la Fundación Nacional de las Ciencias y del Departamento de Defensa de los Estados Unidos. El Dr. Acuña ha asistido por invitación a institutos de veranos ofrecidos por el Centro de Supercomputadoras de San Diego(2015) y a Google(2017). Durante su carrera, el Dr. Acuña ha recibido fondos de Intel y Hewlett Packard para adquirir equipo de computación y para financiar a sus estudiantes graduados.